I would love to be able to share search results, essentially a link to the search terms from my history. Sharing evidence piece by piece might be a bit of cherry picking? Like button on the blog – I guess there may be one in the blogspot software – I'll explore. Sharing results – sounds like a plan. I think we need to think about how and what it might look like. So, it could be to a search undertaken. 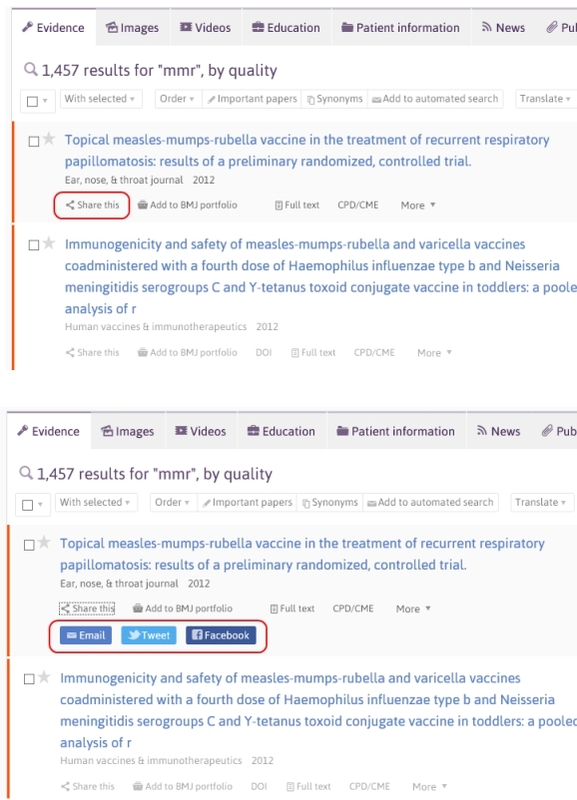 Or, we could allow people to highlight a number of results and share just the selected results. One to ponder. Wow, that was easy – got share button on the blog!